The 1956 United States presidential election in Connecticut took place on November 6, 1956, as part of the 1956 United States Presidential Election which was held throughout all contemporary 48 states. Voters chose eight representatives, or electors to the Electoral College, who voted for president and vice president. 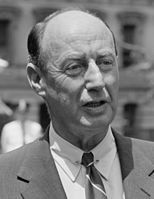 Connecticut voted for the Republican nominee, incumbent President Dwight D. Eisenhower of Pennsylvania, over the Democratic nominee, former Governor Adlai Stevenson of Illinois. Eisenhower ran with incumbent Vice President Richard Nixon of California, while Stevenson's running mate was Senator Estes Kefauver of Tennessee. 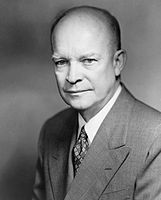 Eisenhower won Connecticut by a margin of 27.46 percent. ^ "1956 Presidential General Election Results - Connecticut".